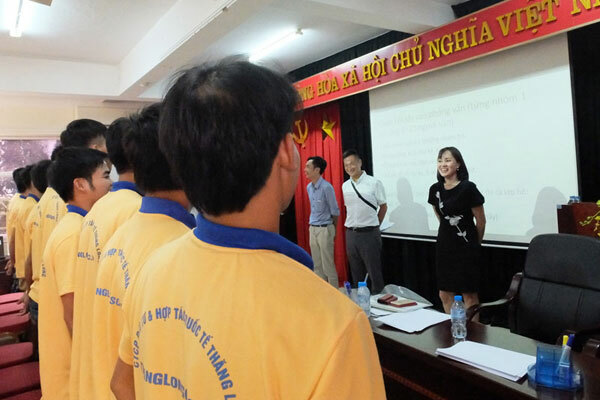 Recently, representatives of feeding enterprise in Ibaraki directly visited and recruited Thang Long OSC’s trainees for chicken breeding, collecting chicken egg order working in Japan. 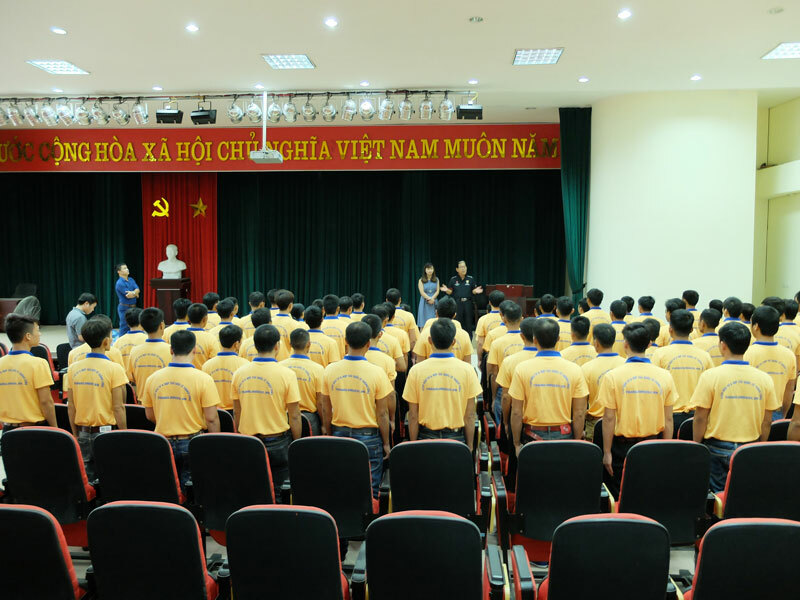 This is the first time this enterprise has cooperated with Thang Long International Cooperation and Investment Joint Stock Company to recruit workers, so the result of the interview is considered as an exploration step to promote the relationship of both 2 sides. After the preliminary selection, 3 excellent trainees were selected to directly join the interview by Japanese partner. After greeting, each trainee had to introduce yourself in Japanese and present his strengths and weakness as well as goals to Japan. 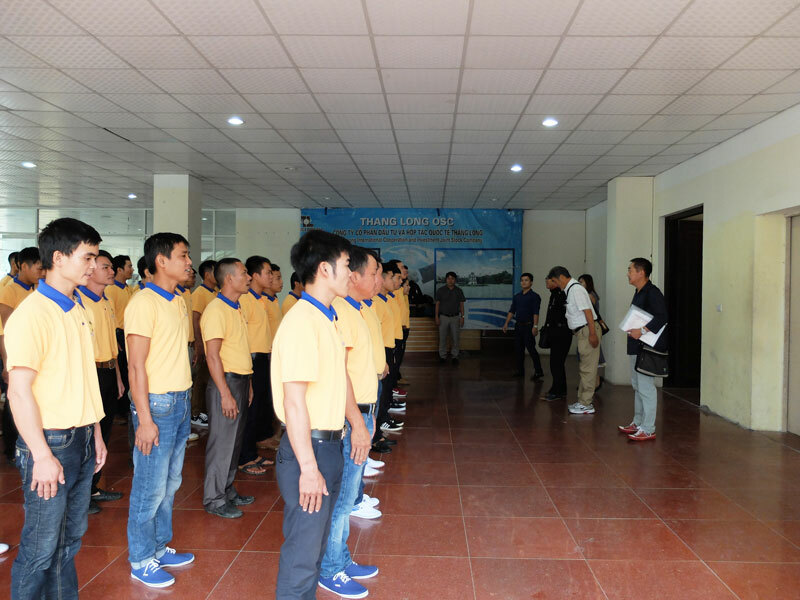 Japanese partners spent about 15 minutes introducing details on job, working conditions in Japan as well as clarifying recruitment requirements for this order. Currently, this enterprise has about 100,000 chickens which have a quite large scale. Duties of trainees include collecting chicken egg and package in the morning; check health for chickens regularly,…This job requires workes must move a lot because of large feeding farm. 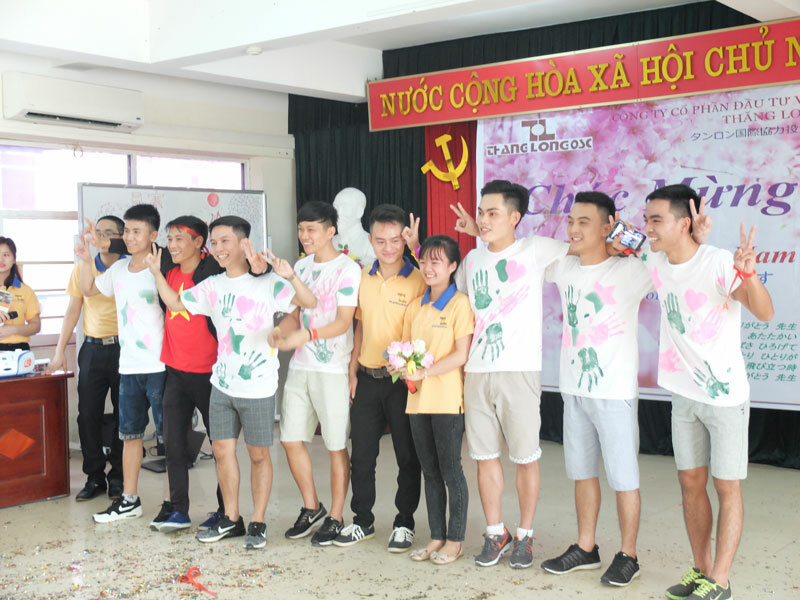 By means of pictures and videos of the system of machines, cleaning procedures, care of chickens,…3 trainees clearly understood of job for this order. 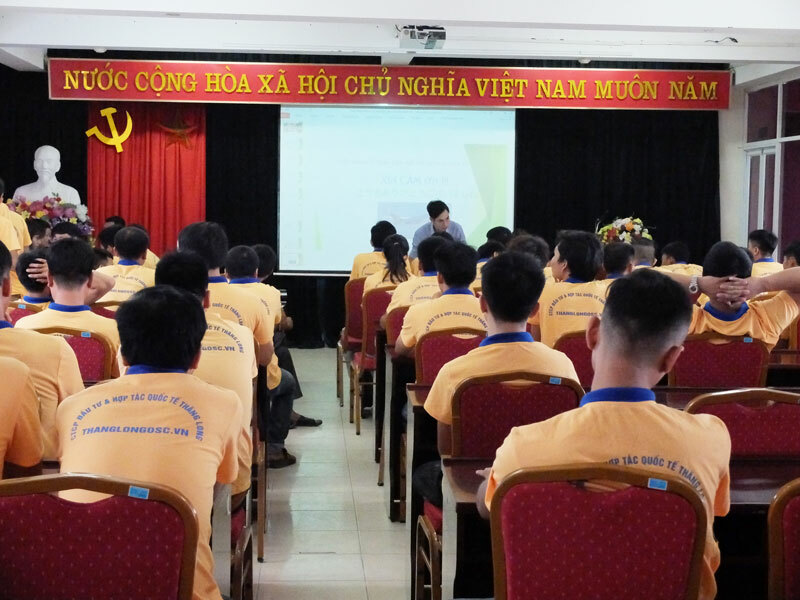 After dissemination knowledge part, 3 trainees took part in the interview with the easy questions. 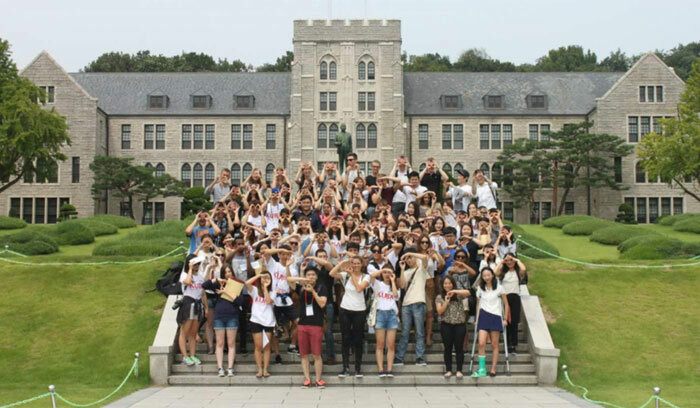 At the same time, trainees confidently asked for Japanese partners problems without understanding of job, life in Japan, salary, bonus, allowance,…. Finishing the interview, Japanese partners selected 2 trainees who have clear goals. 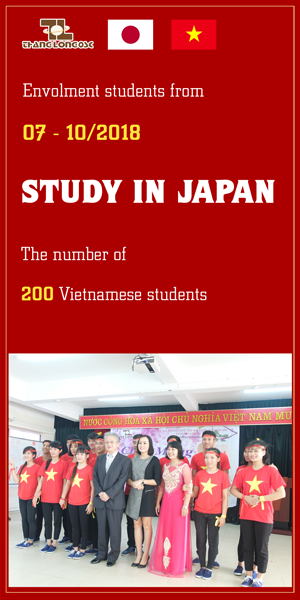 The exit will be expected in February, 2018 after training Japanese, cultural and social knowledge at Thang Long Japanese Center. 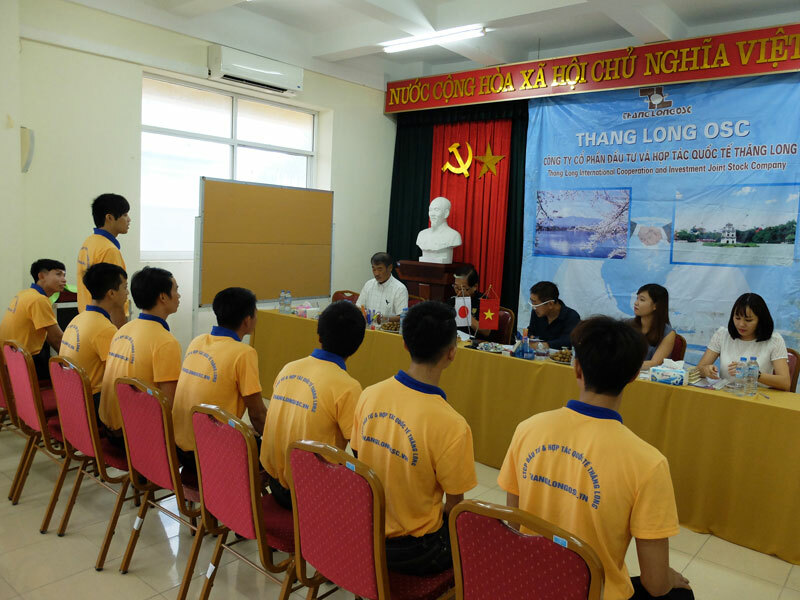 Currently, Thang Long OSC has deployed many attractive orders to work in Japan. Please leave your phone number at the end of this post, or call to hotline 0868.986.528 - 0981057683 - 0981 079 362 – 0981052583 to be supported free! 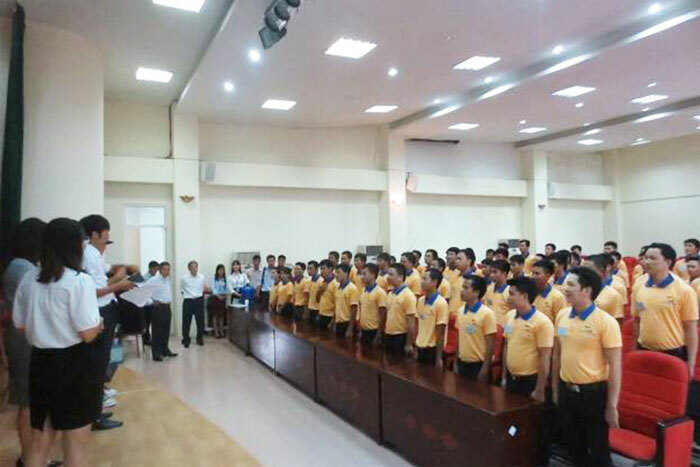 Thang Long OSC’s trainee took an exam for male package order working in Fukuoka, Japan.